May 23, 2007—Foreword Reviews is proud to announce the winners of the 2006 Book of the Year Awards. A panel of judges composed of librarians and booksellers named 216 winners, narrowed from nearly 1,400 entries, representing the finest work from today’s vibrant independent publishing community. The winners were announced at a ceremony Friday at BookExpo America in New York City. Two books were named the Editor’s Choice Prize winners, a distinction that comes with a $1,500 cash prize. 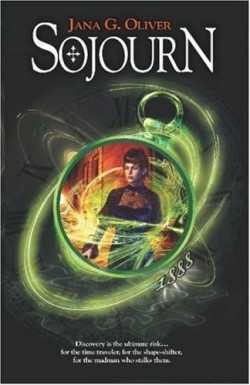 The Editor’s Choice Prize for Fiction was awarded to Sojourn by Jana Oliver (Dragon Moon Press, 978-1-896944-30-2), the first Science Fiction book to be chosen for this honor. 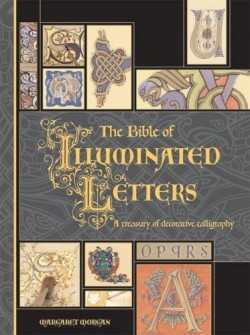 The Bible of Illuminated Letters by Margaret Morgan (Barron’s Educational Series, 978-0-7641-5820-9) has been named the Editor’s Choice Prize for Nonfiction. The book is a combination of history, art, and how-to, with details and examples of this historic art form. “When a book is distinctive with multiple features it’s an easy selection. And what a subject for bibliophiles,” managing editor Alex Moore said. The handsome book holds a clear appeal for artists, historians, calligraphers, and bookmakers. The other 214 winners of Gold, Silver, and Bronze awards were selected by a unique process, involving dozens of Foreword readers—librarians and booksellers who are immersed daily in the selection and recommendation of books. Each entry was judged on criteria including originality, writing and production quality, and patron/customer interest in the subject matter. “It was a great experience, and I know our patrons will benefit from these titles,” said Mary Cooper, a librarian and one of this year’s judges.